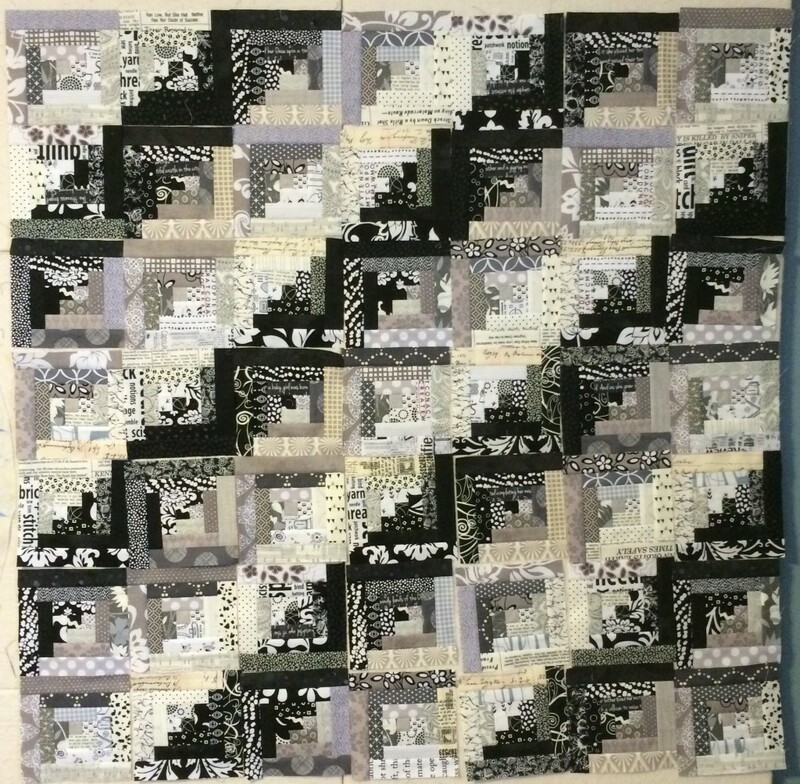 As I was making the Log Cabin Star, I started separating the black, white, and gray fabrics and making monochromatic log cabin blocks at the same time. Because I have an addiction. Apparently. I’m not sorry, though– when they started showing a strong design I was even happier! 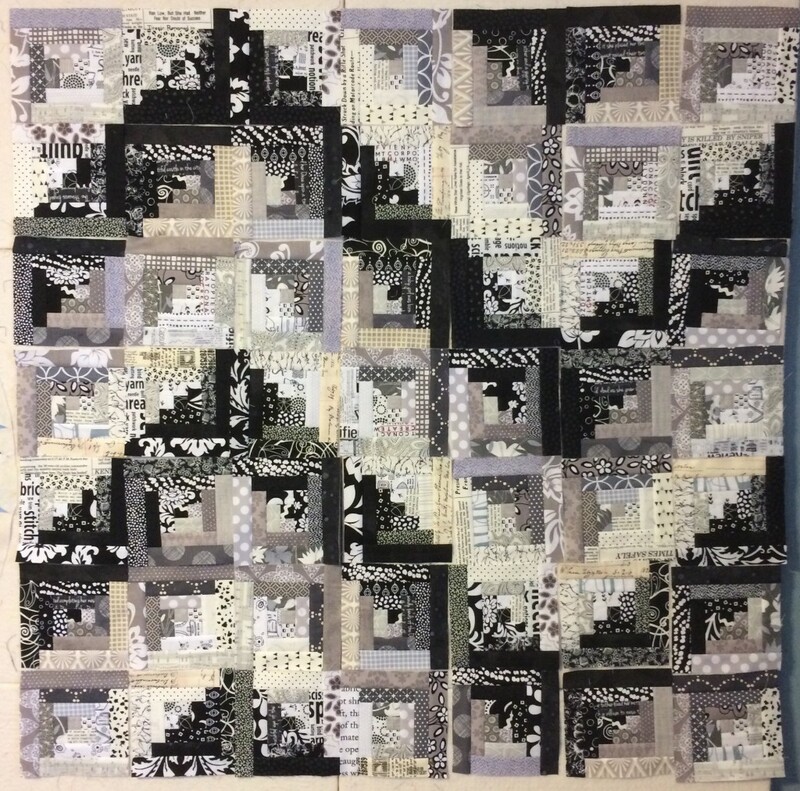 I played with a few design ideas but didn’t want to make any more blocks, so I had to figure out a design that worked with the particular quantities of black/white, black/gray, and gray/white blocks that I had. This one almost worked but was a bit dull for my taste. And then I found this one! Yay! 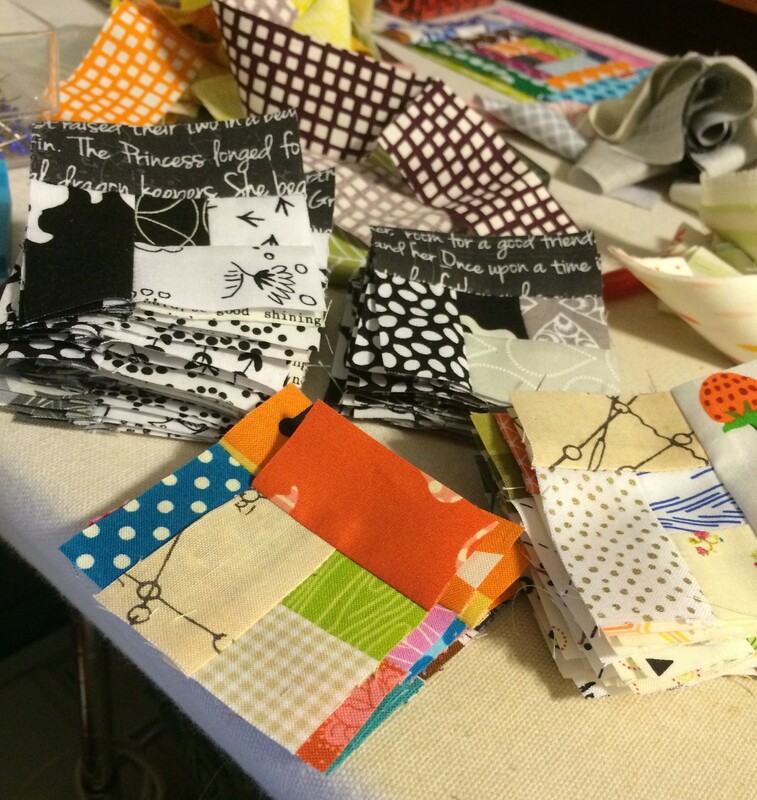 Last weekend I sewed the blocks together, layered it, and quilted it. Here’s the back of it. 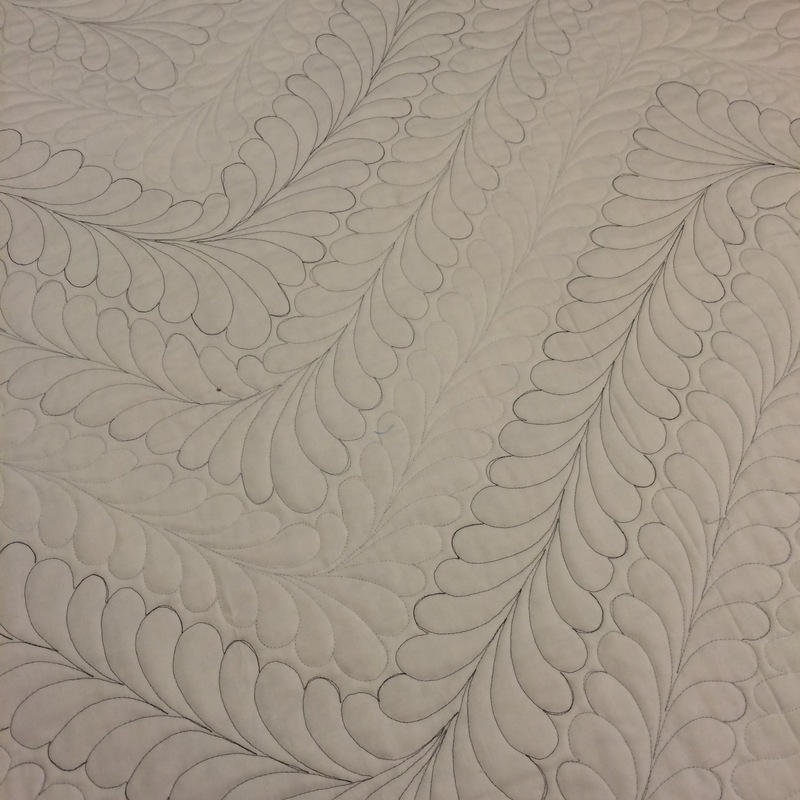 I quilted it with three different gray Aurifil threads in about an hour. It’s almost 36″ square, so it’ll be a good size to go under the foot of the featherweight in the front foyer of our house. 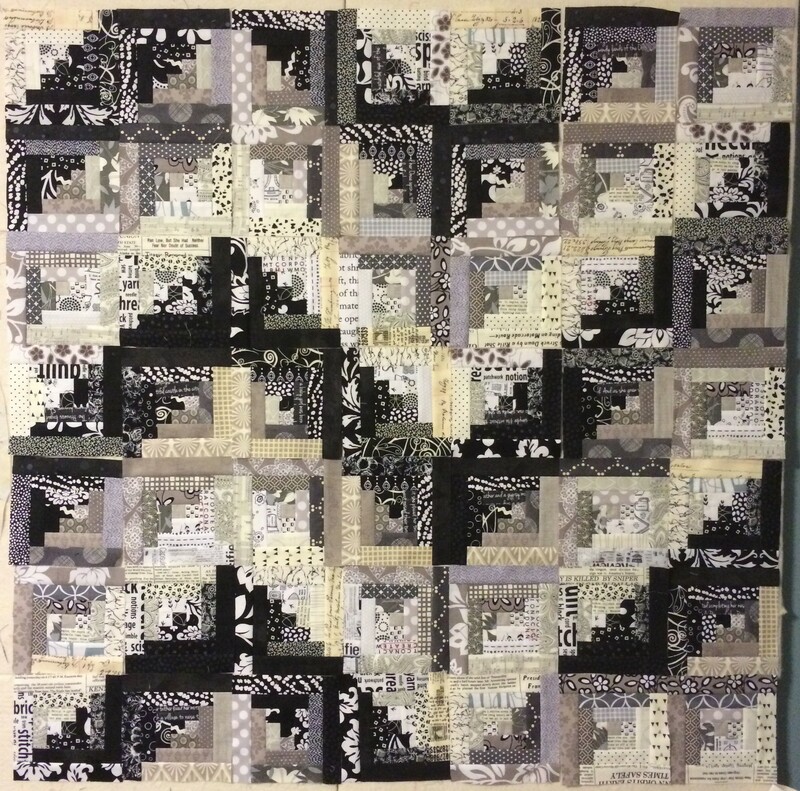 I hope to have it finished sometime next week, but I’ve got another one in the binding process at the moment.